You are here: Home / accessories / WANTED! It’s hard to imagine a fashionable outfit without some kind of accessories. I get most of my styling inspiration from street photos. I love the look of one or two smashing accessories that subtly make the outfit shine. Right now, for me, is all about timeless accessories to enjoy for years to come whether it’s custome jewelry or a designer timepiece. 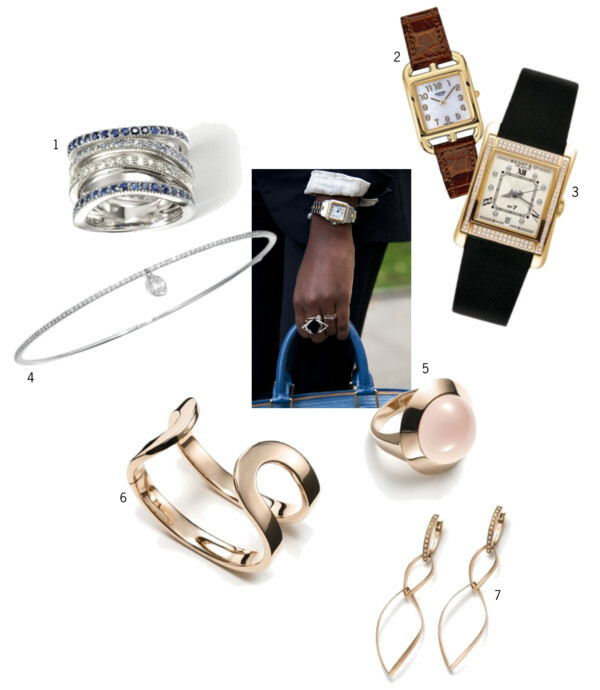 I have rounded up 7 of my favorite investment picks from Levinson Jewelers. Sometimes it’s so easy and convenient to browse through just one place, and even better online of course.